TALENTED athlete Abi Smith is a name to watch. The 16-year-old led her England team mates to a bronze medal win when she was first to cross the line for her country in a challenging mountain race in Ireland. 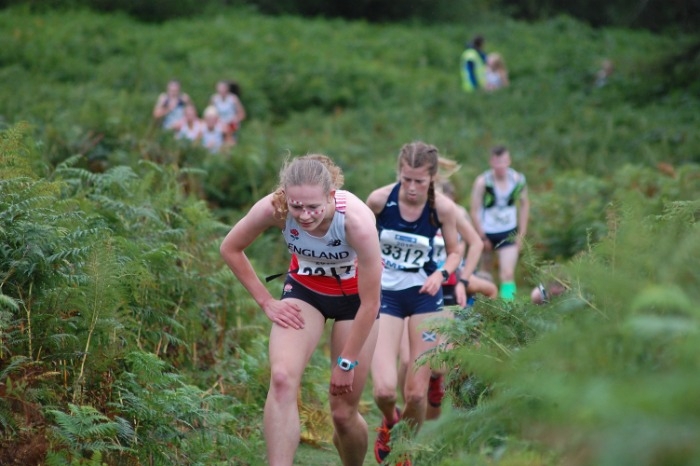 Abi, a sixth former at Ripon Grammar School, came fourth overall in the Under-17s Home International Mountain Running Championships, competing against 30 other elite runners from Britain and Ireland at Glendalough in the Wicklow Mountains. She completed the testing 5km course, with 234m of climb, on the lower slopes of Camaderry Mountain, in 23mins 3secs. Having joined RGS from Ryedale School near Helmsley as a boarder, she says being on site at school all week is ideal: “The good thing about being a boarder is I can use all the sports facilities here and, because I don’t have a long commute to school, have more time to spend on homework and the gym. Studying PE, psychology, biology and geography at AS level, Abi, whose mother, Ruth, is an events organiser and father, Stephen, works as a forester, hopes to study a sports-related subject at university. A Yorkshire Triathlon Academy athlete, she also runs for the City of York Athletic Club and cycles for Clifton Cycling Club and Moonglu in Ripon.